A reason to drink Pepsi (or just opt for water)? A Coca-Cola official was arrested for being an ISIS terrorist. Yes, I know this is in Muslim Bangladesh, but no reason why it wouldn’t or couldn’t happen in Muslim America. After all, Coke’s American-based CEO, Ahmet Muhtar Kent, is a Muslim anchor baby whose parents were Turkish (his father was Turkey’s Consul-General in New York when Kent was born, and Kent was raised in Turkey). An IT manager at a subsidiary of Coca-Cola Co was one of two men arrested in Bangladesh on suspicion of planning to fight for the Islamic State of Iraq and Syria (ISIS), police and company sources said on Monday. The pair were detained during a raid in the capital Dhaka on Sunday night, said Sheikh Nazmul Alam, a senior official of the police detective branch. 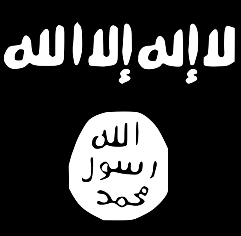 One man, Aminul Islam, was the information technology head of a multinational company, and worked as a regional coordinator for ISIS, while the other, Sakib Bin Kamal, was a teacher at a school in Dhaka, he added. A police official and a company source told Reuters that Islam worked at International Beverages Private Ltd, a Coca-Cola unit. The company source, who requested anonymity because of the sensitivity of the case, confirmed the arrested man was the head of IT, and said he had been absent from work for several days. In a statement, the subsidiary said it was aware of media reports that the employee, whom it named as Aminul Islam Baig, had been arrested. “We will fully cooperate with the law enforcement agencies as required,” it said. Coca-Cola did not immediately respond to requests for comment. Police official Alam said the suspects had confessed to having persuaded at least 25 students to join ISIS, the militant group that has captured large parts of Syria and Iraq. Today, they are recruiting students to join jihad. Tomorrow, they’re poisoning Coca-Cola. That could happen, and one day, it might. And not in Bangladesh, but here. I previously wrote about an Iranian Muslim in San Jose who tried to poison Starbucks drinks. In this case, the guy is Coke’s IT chief, but don’t bet against a Muslim bottling plant manager one day poisoning drinks here in the United States. I wrote about Kifah Wael Jayyousi, Muslim Detroit Public Schools assistant superintendent who was in charge of infrastructure, including water, HVAC, and so on. He fundraised for a Florida terror cell that included Jose Padilla, who attempteed to get a dirty bomb. I also noted on this site that the convicted Detroit Al-Qaeda terror cell had plans to poison the water system. They’ve thought of these things. And one day, they will carry them out. That day is probably sooner rather than later. If you think these things can’t happen here, you are in dreamland and need to wake up. 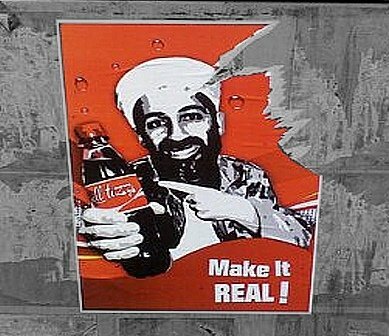 In the meantime, have an ISIS Coke and a beheaded smile. 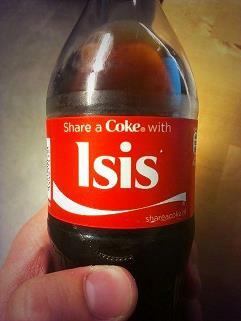 ISIS Coke . . . it doesn’t add life. Coke either fires this pig forthwith or boycott Coke and all its conglomerated sub-products ad infinitum. You either set the wheels in motion to destroy them financially or they will continue these atrocities. Why would Coca Cola have to hire a muzlim CEO? This is why I drink Pepsi folks. As a matter of fact the only way I drink Coke is with rum. Coke by itself tastes like crap even when they made crappier new Coke several years ago. The dipwads running the company have really jumped the shark now. 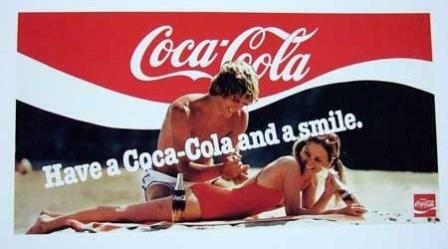 Remember the old slogan Coke Is It well it’s definitely not. I recall Iran or some other country came up w/ Mecca Cola, particularly to go against this ‘satanic’ influence of Coke. Remember, this is in Bangladesh. It’s pretty bad when you have to investigate the politics of soft drink companies in order to decide what to buy. Pepsi was supporting gun control recently. I do like to have some Coke or Pepsi on hand though. Maybe Royal Crown Cola would be a good substitute. Coke and Pepsi have become too big and are using their money to support moonbat causes. According to most nutritionists none of these soft drinks are good for you. Stick to water. It’s healthier and cheaper. This will cause me major issues. In my youth I boycotted Pepsi and drank lots of Coca-Cola because Pepsi boycotted Israel. Due to that I still drink lots of Coca-Cola and tend to stay away from Pepsi products (although not always). Now I have to reverse course. As for me, I’ve long ago given up drinking Coca Cola, Pepsi Cola, or any other soft drink. The evidence is overwhelming that these types of drinks are bad for your health, whether sweetened with corn syrup, chemicals, or even natural sugar. If you crave a healthy “soft drink,” just buy some plain carbonated water and add just a couple of splashes of some fruit juice. (Drinking lots of fruit juice also isn’t good for you.) Your body will thank you. BREAKING: Flight 218 from SF to Austin, TX. Man removed for acting agitated and writing suicide note. Lady who observed him and alerted flight attendant told Lars Larson that the man looked to be in his late twenties and was middle eastern. His carry on and backpack were taken by officials. Apparently, they are conducting a ‘mental evaluation’ on the man. I think they just need to understand that he’s Muslim and engaging in jihad. Grooveshark really does suggest audio to you personally based upon whos previously with your playlist should you click on the radio stations switch along with won’t dictate the genre.